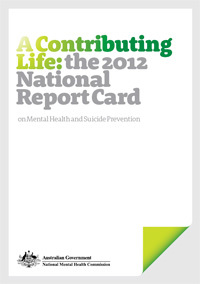 This first Report Card casts an independent eye over how we as a nation support the estimated 3.2 million Australians each year who live with a mental health difficulty, their families and support people, and how we provide and co-ordinate the services they need. The 14th International Mental Health Conference will be in Queensland on the 5th and 6th of August 2013. Optional workshops will be held on Wednesday the 7th of August. It will focus on a range of mental issues including Depression, Schizophrenia, Bipolar Disorder and Dementia.